UPSC Civil Services Exam (CSE) 2015 notification is published. The date of the Prelims exam is 23rd August 2015. There are approximately 1129 vacancies (around 150 vacancies less than the number of vacancies reported for 2014). The online Applications can be filled up to 19th June,2015 till 11:59 PM after which the link will be disabled. Candidates are required to apply online by using the website http://www.upsconline.nic.in. Aspirants may click to download the official UPSC Civil Services Exam notification 2015. Popularly known as IAS exam, UPSC CSE will undergo some major changes in 2015. The main change regarding exam structure is with the first stage, the preliminary exam. Though there are two papers (Paper I and Paper II) for Prelims 2015 as in the previous years, for 2015 Prelims the General Studies Paper II which deals with aptitude (CSAT) has been made qualifying in nature. The minimum qualifying marks for Paper II is fixed at 33 percent. Thus, the merit of the Preliminary Examination will be determined purely on the basis of marks obtained in the General Studies Paper I, provided the candidate has minimum qualifying marks for General Studies Paper II. Prelims 2015 merit ranking out of 200 marks and not 400 marks! Ever since the aptitude paper (CSAT) was introduced in 2011, Prelims ranking was based on ta otal of marks obtained for Paper I and Paper 2, ie. 400 marks. Even now the exam is conducted for 400 marks, but now as the government has decided to make Paper 2 qualifying in nature, the merit of the Preliminary Examination will be purely on the basis of marks obtained in the General Studies Paper 1. So Prelims 2015 merit ranking will be out of 200 marks and that effectively means tighter competition as hundreds of candidates will share the same mark! Reference: PIB notification about the changes in UPSC Civil Services Exam pattern. What does UPSC Prelims notification 2015 say? The Commission will draw a list of candidates to be qualified for Civil Service (Main) Examination based on the criterion of minimum qualifying marks of 33% in General Studies PaperII of Civil Services (Preliminary) Examination and total qualifying marks of General Studies Paper-I of Civil Services (Preliminary) Examination as may be determined by the Commission. The syllabus for the Paper I remains the same. The test will be for 200 marks and the duration is two hours. Prelims is objective in nature and Multiple Choice Questions (MCQs) can be asked from the below topics mentioned in the syllabus. 2014 Prelims notification included the English Language comprehension section in Paper 2 syllabus, but because of the CSAT row, these questions were cancelled in the actual exam. The English Language comprehension skill portion from General Studies Paper-II of Civil Services(Preliminary) Examination will continue to remain excluded and hence there is no mention about the English language comprehension (without Hindi translation) in Prelims 2015 notification. Apart from this, the syllabus for Prelims Paper 2 remains the same. But the paper has turned qualifying in nature and the marks of this paper will not be counted to the final Prelims score. Paper II will be of 200 marks. Duration of this paper will be two hours. You need at-least 66 marks on Paper II to get your marks on Paper 1 to be counted for merit ranking. Prelims is objective in nature and Multiple Choice Questions (MCQs) can be asked from the below topics mentioned in the syllabus. A periodic revision has been done in several subjects. So all candidates are advised to check the UPSC CSE notification (May 22, 2015) for more details. An Expert Committee would be constituted to comprehensively examine various issues raised from time to time namely, eligibility, syllabus, scheme and pattern of Civil Services Examination. Till such time the Government takes a decision on the recommendation of the above Committee, the General Studies Paper-II(CSAT) in the Civil Services(Preliminary) Examination will remain a qualifying paper with a minimum qualifying marks fixed at 33%. The English Language comprehension skill portion from General Studies Paper-II of Civil Services(Preliminary) Examination will continue to remain excluded. Reference: PIB notification about the expert committee for changes in UPSC exam pattern. One more chance is given to those candidates who attempted UPSC CSE in 2011! Any candidate who finished the number of attempts permissible by UPSC but attempted UPSC CSE exam in 2011 will get one more additional attempt in UPSC CSE 2015. What do these the changes mean to candidates who appear for Prelims 2015? Tighter competition: 33 percent marks in Paper 2 (66 marks out of 200) may not pose trouble for most candidates, even for those who are poor in Paper 2. So things now boil down to Paper 1. A few mistakes can cost candidates a year in a 200 marks exam. Probably many candidates who used clear prelims solely on the basis of marks in Paper 2 will go out. Knowledge matters: Paper 2 is skill/aptitude based and that comes natural to many candidates. But Paper 1 is knowledge based and it requires time to finish the topics. Aspirants now need to focus more on acquiring knowledge and develop a proper understanding on traditional subjects as well as current issues. Requires time: As subjects like History, Polity, Economics etc. cannot be be studied within a short span of time, those who start early will be at an advantage. If preparation not begun early, it might not be easy for freshers (read engineers). It may turn a difficult task to clear the IAS exam in the same year of graduation for engineers, but still not impossible. Marks may become proportional to the time spent on subjects. Rural students: This pattern removes the advantage for those who are good at maths and reasoning (predominantly engineers or management graduates). The new pattern is more knowledge-oriented. We are nobody to judge whether reasoning/logic should be preferred to knowledge. We just know that this exam should select the best brains of this country. This exam should also be as much inclusive as possible to be attempted and cleared by candidates without any difference of urban or rural background. Only time can tell if the 2015 CSE pattern help rural students, as the coaching institutes mushroom in metros. Whatever be the case, this pattern too is not here to stay for long. When the expert committee submits their suggestions, then there can be further change in the syllabus (2016/2017). Coaching institutes: Most coaching institutes should be happy about the new pattern unless they specialize in Prelims Paper 2. But at the same time, UPSC can always bring surprises like what happened in Prelims 2014. UPSC may explore un-digged areas in Prelims syllabus like culture or environment. They can also go deep to test the understanding and conceptual knowledge in subjects like polity and economics. Another area which can create a difference in marks can be current affairs if questions on national and international issues are included. Conclusion: 2014 Prelims exam got 9 lakh applications for around 1300 vacancies. For 2015, not only the vacancies but also the marks counted for merit ranking went down – that means close competition. Will the number of applicants cross 10 lakh this year? As you may know, only when tested in an exam atmosphere with negative marking, you can improve the ability to deliver in the actual exam hall. 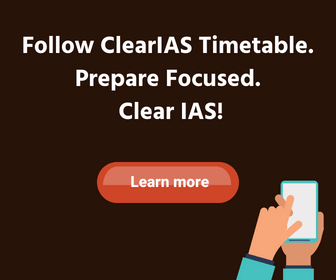 Try for free the UPSC Prelims online mock exams by Clear IAS Exam – the new innovative platform which integrates learning with test-taking. You would be surprised to find how fast you can learn! Sir/madam, there are mistakes in filling the application procedure for CSP_2015. In part 1 registration, it was asked “have you appeared in 2011?”..I filled it yes, which is true.. But when printout was taken.. The sentence was changed to” was 2011 your last attempt as per 2011notification? ” which was not there while filling!!!! What to do now? No.of attempts should be mentioned properly . Dont worry about the summary sheet ..
Its been confirmed from the UPSC office .. !! UPSC Boss says they expects 12 lakh candidates .. !! Is it possible to change optional subject in the upsc 2015 application now ?? Any info is very much appreciated. If you have applied, yes. What should cutt of for upsc cs pt exam 2015.
sir, I am rural hindi medium boy who has cleared his 12th from maths science and got 85% from mpboard. I wanna prepare for UPSC and become an IAS. Sir my father cant pay fee of coaching. So sir i am going to prepare from home. Sir my graduation is running. I am in first year B.A. My optional subject is History. Please tell me how to I clear Upsc in next 3 year? Is it possible to clear prelims without reaching 33%in csat but scoring high in paper 1GS.upsc??? If ony general study paper marks is counted for the merit list ,provided a candidate secure minimum marks in csat,than out of 200 marks cut off marks would be lower than previous year. 1..age should be count from 1st JAN INSTEAD OF 1ST AUG . Everybody is following Ist JAN(IES) except UPSE.. 2..Since UPSE has put number of attempt as a restiction then why there is age limt.Govt need smart people to serve for the country, why this type of restricion? Is it our fault to take birth inbetween 1st JAN to 30th JULY ? What we have to do ?? Manas Ranjan Gouda, I have the same question. May one sit for 2016 exam who was eligible to sit in 2015 and took it in 2011? 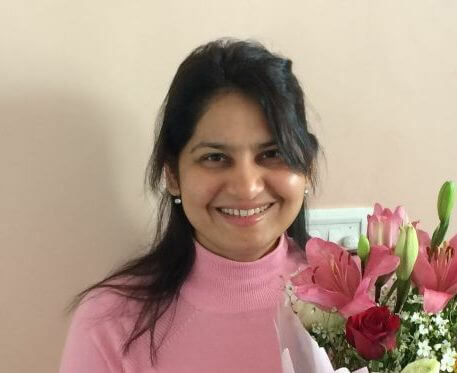 My last and final attempt exhausted in 2014 as i had crossed 32 years (I belong to general category).However I appeared at the UPSC IAS exam prelims 2015 by virtue of the fact that I have had written the said exam in 2011.My querry:Am I still entitled to appear at the civil services IAS exam in 2016? obc candidates eligibility for mains must be 30% of marks in prelims because of down trauden community. we hope that our prime minister who belongs to the obc community will justfy to uplift the youth of above poor community of india. 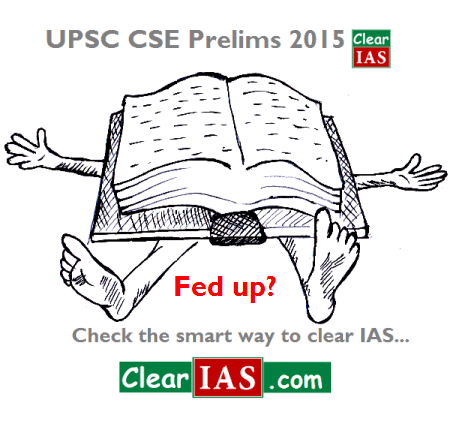 what will be expected cut off for general categories in 2015 upsc civil service prelims? plz share your real expected score based on good & authentic answer keys….so that we can get atleast a prediction…..
Will there be any change in the number of optional subject in the upcoming years i.e. from 1optional subject to 2 optional subjects like that of previous years. I m 29+..My dob-09/07/1986.now i m going to appear for UPSE. Will i b eligible to appear in 2018?..as date of age should be calculated from 1 Aug in UPSE..i will b 32 on 9 july 2018..bt form is to be filed during april to june..so plz reply..how much time i do have exactly..and how many attempts?can i wl b eligible for 2018 exam? Sir, UPSC prelims exam me paper 1 me 50 marks aate hai or paper 2 me 180 marks aate hai to me is exam me ho jaunga?? Sir by mistek I choose law optional subject can i change my subject.????? will you say that any more chances give by our government for 2011 civil services aspirants in future CSE like 2015 CSE? my date of birth is 21st june 1986 and i have appeared in cse 2017.can i appear in 2018?